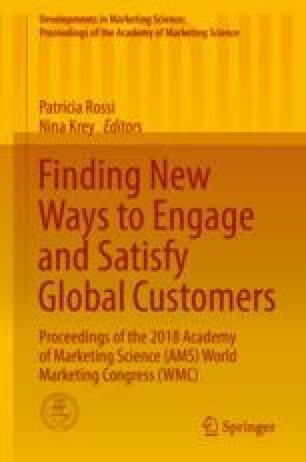 The price of products and services is a critical aspect of marketing communications and can affect consumer inferences regarding product quality, as well as seller motives and credibility (Cheema 2008; Xu and Wyer 2010; Zhang and Schwarz 2012). The price of product or service, however, is often just a starting point or “anchor” for the eventual cost of acquiring a product or service. From this initial anchor, price factors such as discounts and shipping costs often affect the final cost to consumers. Building on previous research on anchor adjustment theory (e.g., Janiszewski and Uy 2008), the present research investigates how both positive and negative adjustments from an initial anchor price affect consumer perception. In the marketplace, a positive adjustment from an anchor price is a gain to the consumer, whereas a negative adjustment is loss. An example of such a gain to the consumer could be a price discount, whereas an example of such a loss to the consumer could be shipping and handling fees. The present research argues that the extent that consumer perceptions of a product shift in relation to such gains and losses is dependent on the precision and the range of the gain or loss. Previous research finds that anchor adjustment is less when the initial monetary amount is presented as a precise amount rather than a rounded amount. Janiszewski and Uy (2008) suggest this is the result of a precise anchor eliciting a more granular adjustment scale that, in turn, results in less adjustment from the initial anchor. The present research, however, suggests another explanation involving seller credibility. Previous research finds that anchor adjustment is less when the anchor is provided by a credible source as they infer that the anchor is a more accurate indication of the product’s value (Zhang and Schwartz 2012; Wegener et al. 2010). We argue that the extent that consumer perceptions of a product shift in relation to such gains and losses depends on the precision and the range of the gain or loss. When confronted with a possible gain, as in the case of price discounts, precise amounts result in less favorable buyer perceptions than do rounded amounts. On the other hand, when confronted with a possible loss, as in the case of shipping and handling fees, precise amounts result in more favorable buyer perceptions than do rounded amounts. Initial studies support some of our hypotheses.